Officer Dwayne Burress began his service to the Franklin community in 1993. A Union City native, Burress moved to Franklin in 1987 after marrying his wife, Betsy Helmintoller, with whom he has shared 32 years of marriage. Prior to his service to Franklin residents, Burress served our country as a member of the United States Army, Military Police. With tours in Alabama, Maryland, Washington D.C., and Germany, Burress retired from the Army in 1988 following a line-of-duty injury. 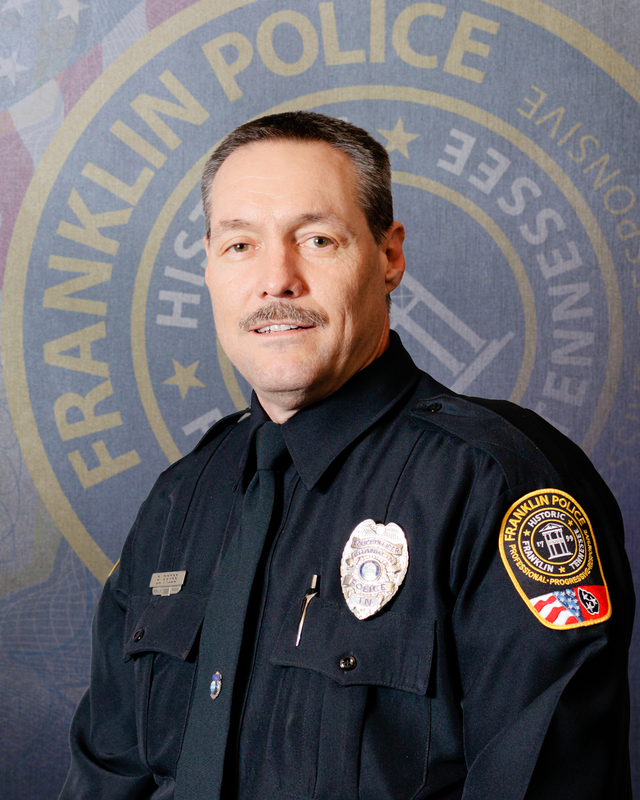 In his 25-year career with the Franklin Police Department, Officer Burress worked on all three patrol shifts and as a Field Training Officer, helping to teach new recruits how to serve our special community. Burress’ service includes time as a Crisis Negotiator and special assignments in the Criminal Investigation Division and Community Oriented Policing Unit, where he built lasting, meaningful relationships with residents. Officer Burress served as the head of our Honor Guard that participated in the National Police Memorial in Washington D.C. following the 9/11 attacks. Officer Burress was named Officer of the Year in 2000 by the Fraternal Order of Police, and received the Hidden Heroes award from the Williamson County Task Force Against Domestic Violence. Burress was the July, 2016 Franklin Police Officer of the Month.